Conzoom Records – new Zynic, Neuropa plus Lowe and Half Light promotion – Chain D.L.K. So everyone who loves the sounds of bands like Yazoo, Erasure, OMD, The Human League or The Twins will love the new NEUROPA album. The Swedish electronic pop-noir trio LOWE is back with their third album EVOLVER. Their latest single BREATHE IN BREATHE OUT went straight to #1 on iTunes Alternative Charts in Sweden. The new album EVOLVER will be released on September 13th. In 2004 Swedish synth band LOWE released their debut album. It didn’t take long before they gained international recognition through nominations for “Best song”, “Best album” and took home the prize as “Best newcomer” at the Scandinavian Alternative Music Awards. They’ve made several tours that led to huge success outside Sweden, especially in Eastern Europe. Last year LOWE toured for the first time in USA and Canada. They were the first non-American band ever to appear on The Real Radio Show, live from the Times Square in New York. LOWE has been compared to artists such as The Cure, Kent, New Order and Visage, who they’ve also played with in London. In October LOWE is going on their second US-tour to promote the new album. LOWE is currently based in Stockholm and Berlin. With the success of BREATHE IN BREATHE OUT in the Spring, the much-anticipated new album EVOLVER will be released worldwide on September 13th. – EVOLVER is our darkest album so far, says Leo Josefsson, lead singer in LOWE. – A mixture of mono-synths and disco balls, bass player Rickard Gunnarsson explains. – It was time to discover new territories. We’ve been experimenting a lot with the sound and the songs even though EVOLVER is our most homo-genic album to date, says keyboardist Tobias Ersson. 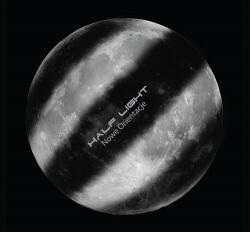 Half Light, a Polish electro pop band, is releasing an exceptional occasional album entitled “Nowe Orientacje”. This is the band’s second album. All of the compositions were originally launched in 1983 by the legendary Polish new-wave band Republika as their debut record, this time served in a different electronic form. It is an original musical perspective on that legendary material.